Do you enjoy hosting guests and entertaining or do you feel like you'd rather chew your own arm off? From anyone I've asked, I find they either love it and cannot wait until their next in-home gathering to show off their skills or they simply dread preparing for and hosting others in their home. Some are excited to see their guests but simply don't enjoy all of the cleaning and tiresome preparations that go into entertaining and hosting, which I can certainly understand. It's no wonder many exhale a big sigh of relief when their guests depart. Many have voted on our poll and asked for more posts on manners and etiquette, so I wanted to focus on how to be a great host as the holiday season will be filled with these opportunities. 1. Prepare Them Before They Arrive-If you live in a small home or have limited bedroom space available, don't feel the need to give up your own bed. However, if they'll be sleeping on an airbed or pull-out sofa in the middle of your livingroom without privacy, be sure to mention it to them beforehand so they can pack proper sleep attire and earplugs or an eye mask if necessary. Find out any flight or train details so you can pick them up when they arrive and greet them (if it is possible) which is most preferable or let them know about the nearest rental car agency if they need to grab a car or a cab, etc. 2. Pick Up- If you are picking guests up upon arrival, you'll want to help them with their luggage into the car if you are fit to do so. After a long flight or train ride where travelers are exhausted, this would be a sweet gesture. Greeting guests at an airport gate is a lovely idea but not always practical with airport parking fees and the extra time it takes. If your guests are travelling within the same country, it is perfectly acceptible to drive up to the arrivals baggage claim door. However, if it is a long lost relative, someone elderly or a friend travelling on a long flight halfway around the world, a gate greeting with some flowers would be most appropriate. 2. Lay Down Some Basic House Rules-If you do not smoke in your home, be sure to let those that do know where they can go to light up-the garage, the front porch, end of the driveway, etc. For those that do not wear shoes in their home (as we do in our home), be sure to communicate that to your guests in a lighthearted way when they arrive. You may want to provide some slippers, especially in the colder months. If there are several people sharing a bathroom, be sure to show each guest which one it is and allow them to work out a schedule for themselves. To make things easier for you, let them know that your house is their house. This way they can take initiative to make their own coffee early in the morning, or make themselves a snack so you don't feel like you are doing everything. 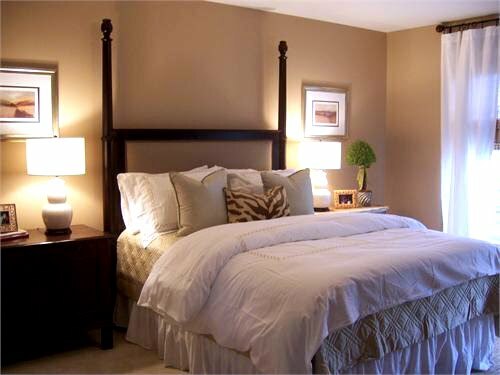 Clean & Fresh-Be sure that all bedding and sheets are fresh for each house guest you have. I have slept at a home once where the pillowcase didn't smell clean and it was not only gross but I didn't sleep well that night. Needless to say, I now carry my own clean pillowcase when I stay in someone's home. Also make sure the room is clean too, vacuumed and free of dust or dirt of any kind. If the room is rarely used be sure to clean under the bed and also wash any drapery to remove excess dust. Keep a small trash bin inside the room as well as in the bathroom for your guests so they don't have to hunt for one. Likewise, keep some rolled, clean towels and a face cloth for your guests at the foot of the bed and let them know where to locate extras. Reading Materials-Many guests don't sleep well in a new place, so to keep an insomniac happy, provide a few magazines and a few books that would be of interest. Keep a stack on top of or on a shelf of the nightstand. Be sure that there is a nightstand lamp so they can actually read without having to get up to turn the light on and off. Nightlights in the halls will help your guest find their way to the bathroom and kitchen at night. Midnight Snacks- At our house, I like to provide a little box of sweet treats or gourmet chocolates and bottled water with a glass and place it directly on the nightstand for midnight snacking. If your home is more dry or warm than your guest is used to, this may soothe a dry throat or keep them hydrated after a flight also. It also prevents the clanking of glasses and the sound of cabinet doors closing as they hunt for what hey need while you are trying to sleep. Climate Control-If you like to keep the AC to a minimum in the summer months and do not have a ceiling fan installed in the guests room, have a fan on hand to keep their room cool. Likewise, provide extra blankets or possibly a small room heater in cooler months. Toiletries-Be sure to keep some extra toiletries on hand for your guests as it's easy to forget something while packing. If you have some travel size bottles of shampoo, conditioner or body wash, lay them out on top of a fresh folded towel for your guest or place them in a little basket with other bath items that may be useful to them. Toothpaste seems to be a common item that gets left at home if they share with a spouse so be sure to keep some extra on hand. Another item to provide is a hair dryer, they are heavy and many people forget them, be sure to provide a regular or travel size dryer for them. Irons and ironing boards may be needed so let your guest know where they can find them. A corner of their own- If you know you'll be entertaining and hosting often or the guest bathroom is a shared space in your house with other family members or guests, a really nice touch (and practical necessity really) is a little corner sink with a beautiful mirror hung above it along with a small towel ring and hand towel. It creates a private place for your guests to do a light freshening up before coming out of their room in the morning and can be used for washing their face, applying makeup, putting in or removing contact lenses, brushing their teeth along with taking prescription medication/vitamins. In addition, it's the perfect spot to get a glass of water in the middle of the night without waking others while they roam the halls to find the nearest bathroom or kitchen in the dark. It really makes a guest feel welcomed and as if they truly have their own little oasis away from home. If you have a larger family, it's always nice to have yet one more little sink area for when things become overcrowded even when the guests have long gone. Something Special- Do something a little different to make your guests' visit memorable. I always like to write a personal handwritten card welcoming my guests that are staying, noting that I'm looking forward to our time together. It's something a little extra, but it makes people feel welcomed into your home. Another simple touch is to place a photo of you and your guest from years gone by in a frame in the room where they'll be staying. Fresh flowers are also a nice addition. You could buy your guests' favorite flowers or simply buy a mixed bunch and separate each individual smaller grouping of flowers into smaller vases and place some in their bedroom and some in the guest bathroom as well. 4. Entertainment- Depending on the nature of your guests' visit, you may or may not be showing them around town or acting as entertainment director. If you are working or not able to show them around and they are simply staying in your home, be sure to find some web links and bookmark them on your computer or print them off some info. If you can get your hands on some tourist info such as maps and activities, that will make their life much easier. If you are going to be showing them around, be sure to prepare those plans in advance and find out admission times and prices to local venues and plan out which restaurants they may enjoy. Entertaining others can be expensive so keep your budget in mind and give them some options of what is available. If they are interested in some attractions that are outside of your price range, be upfront with them and let them know you'd love to spend time with them and see such attractions but that they aren't financially feasible for you. They'll understand and may even offer to pay for your admission or will agree to something less pricey. 5. Meals- Do not feel that because you are the host that it is your responsibility to cook constantly for everyone. If it is part of your routine and you enjoy it then by all means go for it, however if it isn't perhaps you can cook one meal for everyone on one particular evening or agree to go out to a restaurant. Leave the rest of the time for your guests to figure out meals on their own. Breakfast is generally simple and can easily be provided by having a couple boxes of cereal on hand, juice, fruit and some yogurt or some granola bars for those that are on-the-go. Do make sure your fridge is stocked with necessities so you can pull something together for lunch if you need to or if your guest needs to make a sandwich, but it is not your job to fund all of their meals or groceries unless you so desire. 6. Departure-If you are available to drop guests off at the airport, it is a nice departure and I highly recommend it. If, however, you are working or are not available at the hour they are leaving, just be sure to provide a snack for the road and see them off with a smile and let them know how much you enjoyed their visit. Provide a spare key to be left in the mailbox or under a mat if you will not be around when they leave, so they can lock up. If your guests are leaving at an unsensible hour such as before 6am or after 11pm, you might want to call a cab for them to the airport or see them off with a hug, wave from the doorstep and then head to bed. It will not at all be considered rude that you are not driving them to the airport an hour from your house at 5am. After all, with so many flight times available those are things for your guest to consider while booking their trip. Stay tuned for an upcoming post on the do's and dont's of being a house guest. In the meantime, you can read this previous post on how to be a grateful guest. Do you have any wonderful memories as a guest in a friend's home or have you experienced any faux pas that a host has done while you've stayed with them? Leave a comment and share your experience. What do you do to make your guests feel special? This a great post - a lot of good tips! I actually get out of town guests (family) pretty consistently and it becomes so routine that I fear sometimes I forget to make it "special". Thanks for the reminder! Many years ago I read an article on the proper etiquette of hosting guests overnight. The author had been a house guest herself and was reluctant to wash off her makeup with a light colored washcloth provided in the guest bathroom. This clever woman purchased black washcloths and had the word "MAKEUP" machine embroidered on them for the use of her guests. What a great idea! Donna, that's such a clever idea. :) I can totally understand that as a guest you wouldn't want to ruin something or leave a bad impression so black is perfect. That's a great little hostess gift idea too, coupled with some other items. Thanks for sharing! Remember to act as a guest and not as though you are making the rules. When individual hand towels are put out that is what you use and do not leave poopy diapers in the bathroom waste basket but dump them out in the toilet and take the diapers wrapped in a plastic bag out to the garbage can and put them in the garbage bag. How do you deal w hosts that plan activities for you w their child and expect you to be held to their entertainment plans? Gracious hosts but intrusive and controlling habits can ruin a visit quickly. If this is an overnight stay, you may want to humor them by participating in some but not all entertainment plans. It really depends on the type of visit and of course whom you are staying with. When I stay with friends and family while visiting back home I do a bit of both, but it is my joy to spend time with my friends and their children. If it wasn't I'd probably limit that time. I agree, intrusive and controlling tendencies do not make for the best host/hostess. My husband used to make the house rules more important than the people. He would get annoyed and lecture them over silly trivia and make them feel unwelcome. He particularly did this to his parents. I wish I had them back to pamper. I see now that my daughter learned from his example and makes me feel unwelcome in the same way. I only get there for about a week out of each year and though her home is uncomfortable and inconvenient because of her pets, I never complain. My feeling is that we should be able to stand anything for a week for the sake of leaving with a good feeling about the relationship. Rewards Points = FREE Gifts!